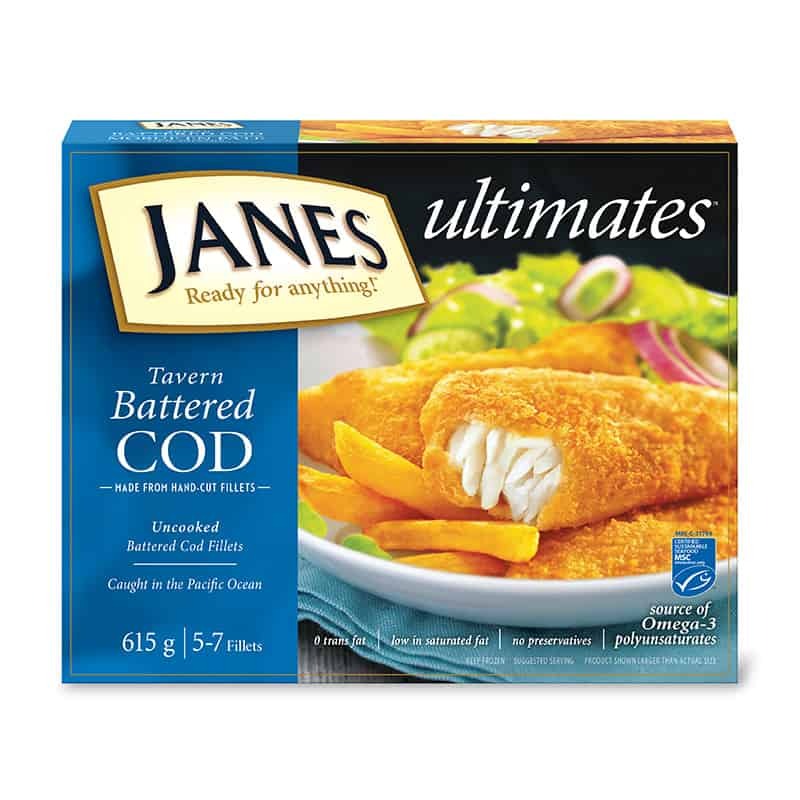 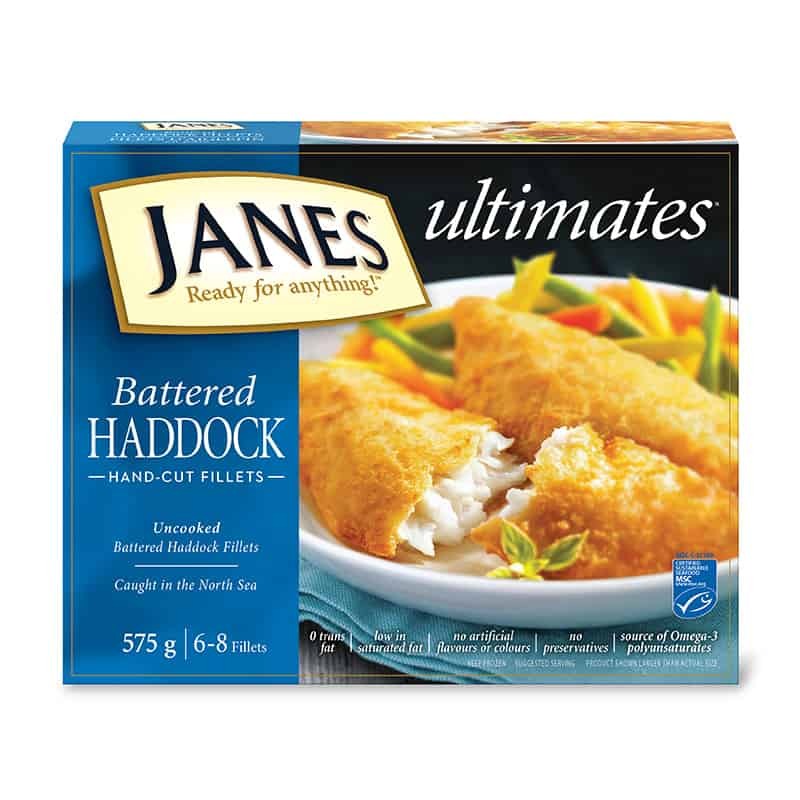 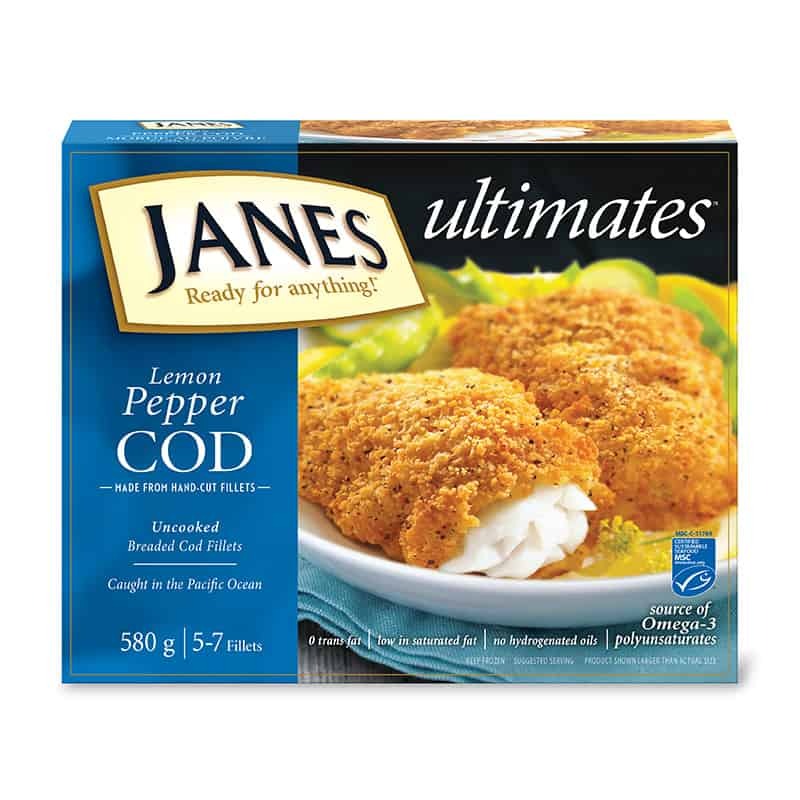 ultimates Breaded Haddock Fillets - Janes® Ready for Anything! 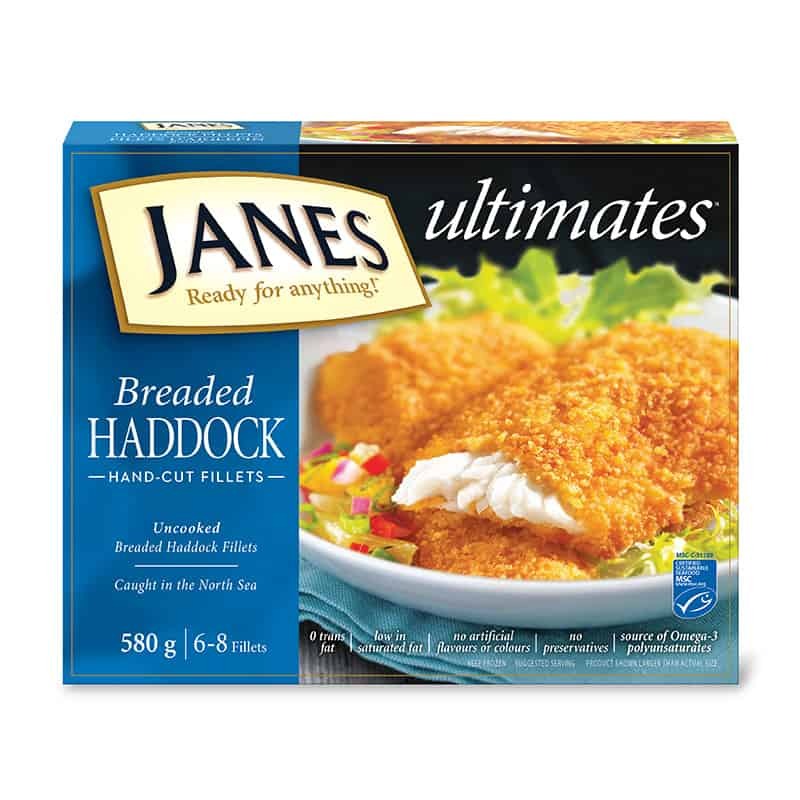 We take high quality, hand-cut haddock and then coat it in a tasty wheat crumb breading for a delicious main course. 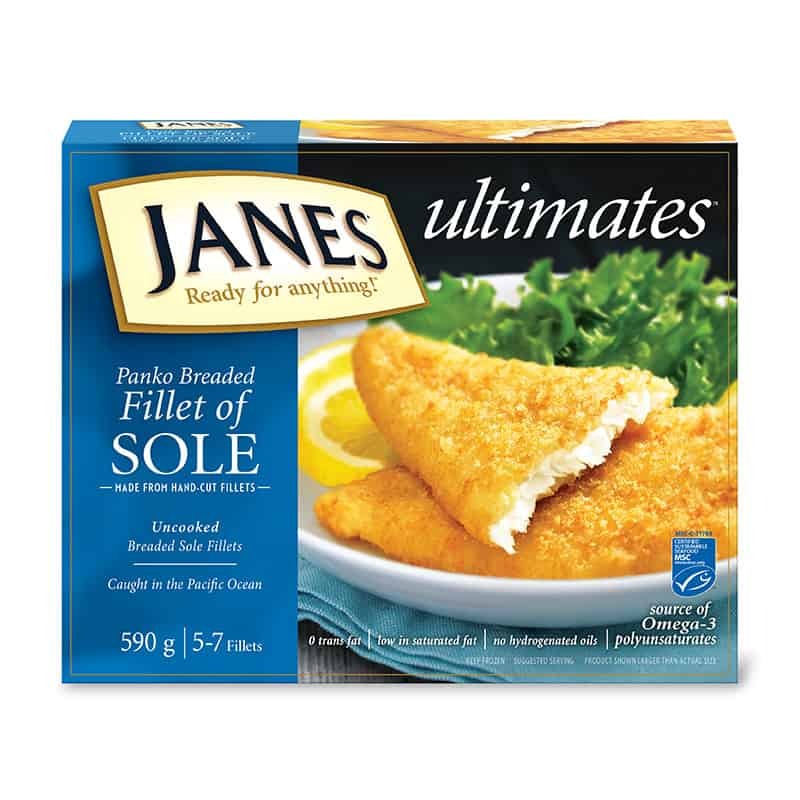 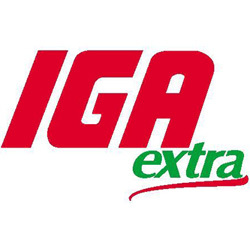 Try it with a side of potatoes for a delightful, wholesome meal. 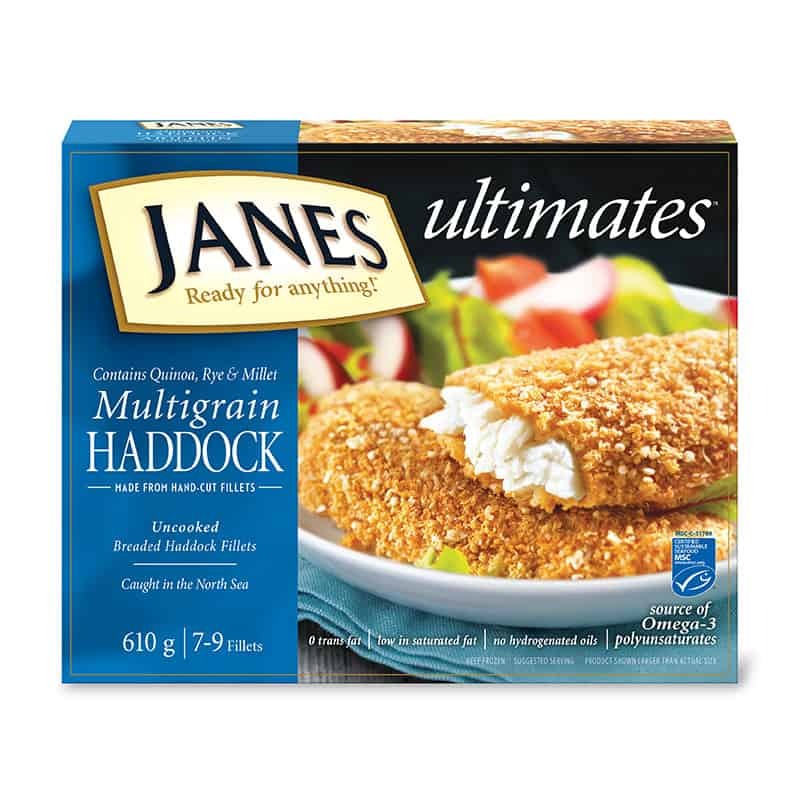 Haddock Fillets, Toasted Wheat Crumbs, Canola Oil, Water, Corn Starch, Wheat Flour, Yellow Corn Flour, Sugar, Baking Powder, Salt, Guar Gum, Spices, Spice Extract. 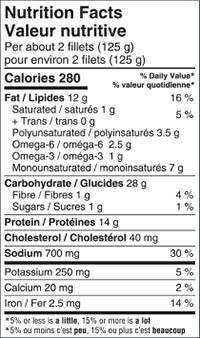 May contain Soy.